The image appeared on the box of AnimaTek's World Builder 1.0 for DOS designed by Roger Dean. 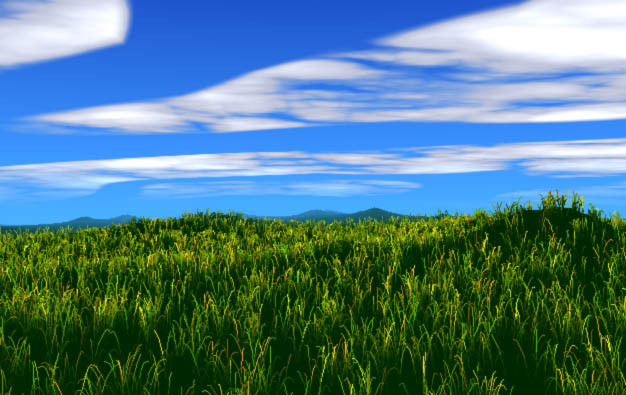 A test for grass photometry. 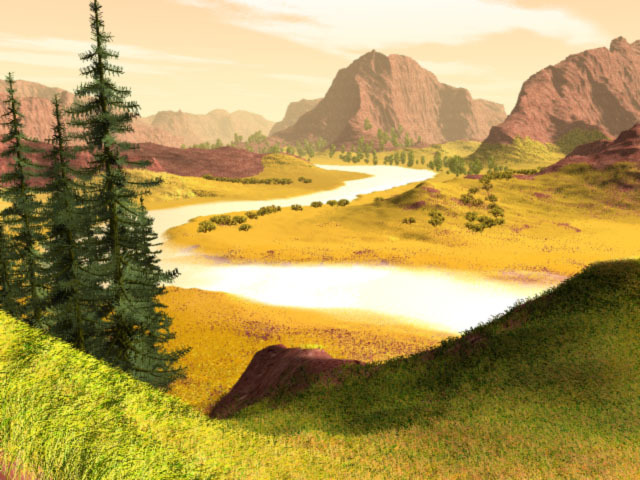 River (jpg, 96 Kb) World Builder v.1. 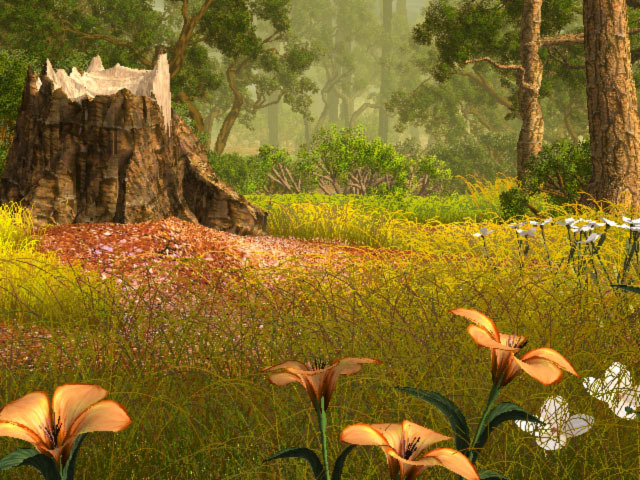 The very first reasonable image with grass on the landscape created with in-house version in 1993. 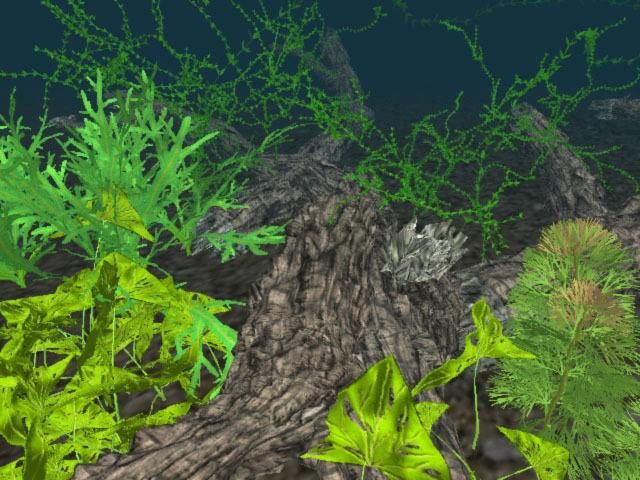 A test scene for water plants created for Fresh Water Fish project. 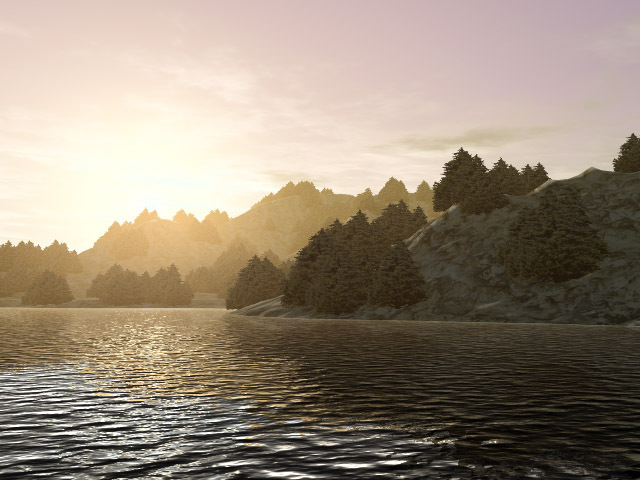 Sunset in World Builder 3. 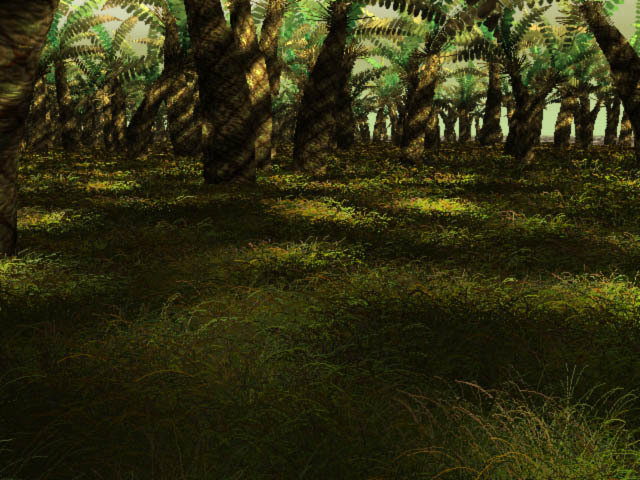 Unlike other images on this page, this one was rendered in a later version of the software. Atmospherics add a lot to the feel of the image.